The other day I was watching some of the great YouTube videos on the Environment Canada channel when I came across this one, on a “microscale weather phenomenon” near Whistler (this one was produced for the 2010 Olympics). 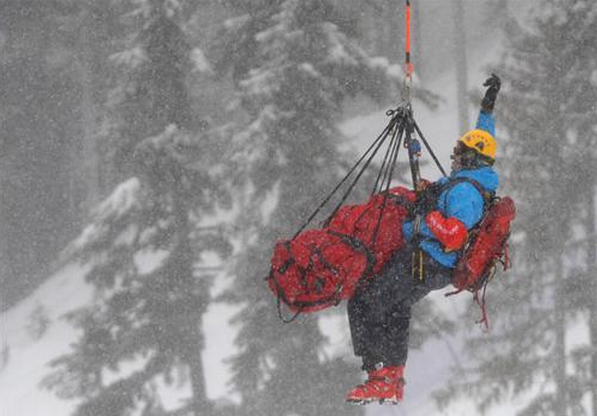 I had a few run-ins with Harvey’s Cloud while working at the Downhill Ski venue as a helicopter rescue tech. In fact, Harvey’s cloud was the reason why they shut down the training runs right after I had to rescue one of the skiers. The weather was so bad during the rescue that we weren’t sure we would be able to fly. 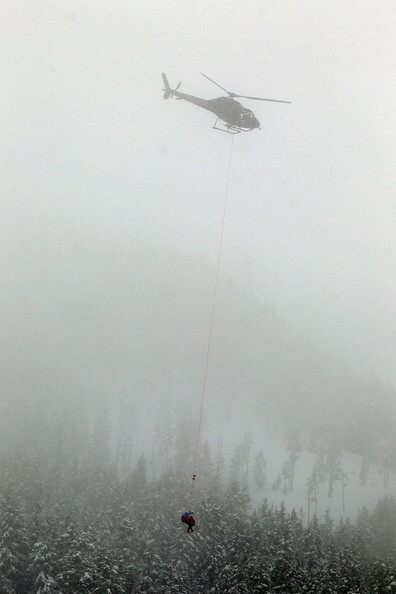 The rescue was complicated by the number of cables (chairlifts, camera, fencing), and having good visibility was essential. I remember we swung very wide across the valley for the approach, to give the pilot some time to figure out where the cloud was in relation to the rescue. If the cloud was a little lower, we would not have been able to pull it off. As I wrote before, it was snowing when we did the rescue, and on the trip to the clinic we were moving at 60 knots, and the snow was pelting so hard that it was like being sandblasted. It was quite painful, and that was the longest trip I’ve ever done on the end of the line. Nice to hear that the cloud has a name.